LIMITED QUANTITIES ! Please call for availability ! Size chart 100% polyester wicking smooth k.. Size chart 1.5" Covered elastic and drawcordBadger heat seal logo on left hip100% polyester moi.. Size chart 100% Polyester moisture management /antimicrobial performance fabric. Athletic Cut. Super.. Size chart 100% Polyester, 70 denier mesh with solid tricot liner. Athletic cut. Superior fit. Cover.. 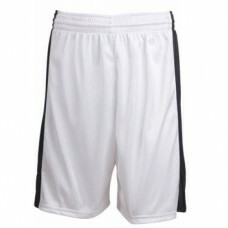 Size chart 100% Polyester mesh 100% Polyester dazzle side panels 6" Inseam Althletic cut Superior Fi..